New and exciting things are on the horizon at Well Life! As your medical team, we are always concerned about your whole well-being—not just your knees, low back, or blood pressure. We want you to have a healthy lifestyle and enjoy life to the fullest. But we have found that many times, patients with the best intentions just don’t know where to start. “Eating healthy and exercising will help with your back pain, hypertension, and cholesterol,” is what most patients are told. But where do you begin?? This gap is where we fail as medical professionals. We give orders but do not offer a plan to get you there. America is one of the best places in the world for emergency and surgical care, but the system has failed with weight control, chronic disease and pain management solutions. To remedy this and better serve our patients and community, the team at Well Life Family Medicine is offering an evidence-based Medical Fitness Program designed to get our patients the best possible health outcomes! Feel free to send us an email or any questions you might want to ask Dr Ehle . So what is Medical Fitness? So much more than just personal training! Medical professionals collaborate with patients to develop personalized programs incorporating training, nutrition, health coaching, along with medical testing to give patients real results. Providing a medically based safe and effective fitness program that will meet you where you are is our number one priority. Medical Fitness is designed to restore your energy, rebuild your body, and rejuvenate your life! We incorporate medical testing that is only available in a medical setting, which provides internal and external data that allows us to know what is happening inside your body that may be preventing you from seeing success. Hitting a plateau? With the results from our medical tests our trainers can help you bust through that plateau! For example, these strategic tests give us the necessary information to put you at exactly the right calories so you lose fat and not muscle, to progress you safely from each level of fitness, and allows us to determine treatment plans to mitigate underlying joint and muscle limitations. Medical Fitness stems from the idea of using exercise and nutrition as a first-line treatment to prevent and reverse chronic disease and body degeneration. It’s about educating and coaching you how to live healthier and make smarter choices. We will co-create a healthier YOU and not just for you, but for your family, your business, your career, and your hobbies! Our program incorporates medical professionals collaborating with patients to develop a personalized fitness program designed to give you the best results. A treatment plan as unique as you are, to provide the safest, most effective path to your goals and overall health. Performed by a physician to ensure all of your physical needs are considered and addressed. To determine how many calories your body needs to build mass, lose fat or maintain. Allows us to determine what is happening inside your body that may prevent you from seeing success. To ensure you are exercising properly, hold you accountable to your goals, and help guide you every step of the way. Guidance to help you stay true to your goal and find ways to adapt the program to your unique lifestyle or situation. It is our passion to help you feel and look your best. If you are sick and tired of being sick and tired, we are here to give you the necessary tools to make permanent changes in your health! If you are fed up with not living life to the fullest, then we are here to guide you down the right path and hold you accountable to your goals. Your success is our success! And we are dedicated to restoring your health, rebuilding your body, and rejuvenating your life no matter where you’re at today. How Does Well Life MedFit Compare? Contact us to begin moving in that right direction. It will be one of the best decisions you have ever made! We care so much about your health and wellness goals that we will even pay you to lose weight! Yes, you read that right! You get paid to lose weight! We will pay you $1 for every pound you lose when you sign up for a 3-month or 6-month program! So whether you are 80 years old, need to lose 100 pounds, want to look great in a bikini, training for a race, or training for Life! Well Life Medical Fitness has the Solution to your Problem. Why wait? With a money back guarantee you have nothing to lose but Weight! Price per session is comparable to local rates. Brady was born and raised in Amarillo, and early on he discovered a passion for sports, especially basketball. After high school, Brady picked up endurance sports and completed myriad events, from spartan races to 50K trail runs. He is also actively involved in CrossFit. 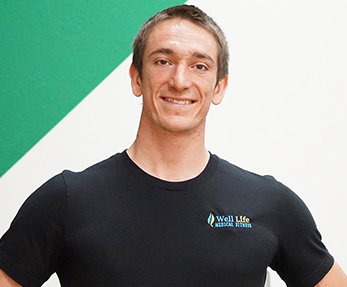 Through his fitness experience, he fell in love with personal training and working with people one-on-one. As a coach/trainer, Brady believes the most difficult feat a client faces is walking through the door. Then, it is up to him to make the workout fun, fulfilling, and effective. His greatest reward is seeing his clients push themselves beyond anything they thought they were capable of. Brady’s clients believe his professional, encouraging attitude keeps them motivated to reach their goals. Jessica takes pride and care in developing personal, positive relationships with each client on her schedule. You are more than just a face with Jessica! Mika has been a personal trainer, specializing in Senior Fitness, Small Group Training, and is a Tabata Bootcamp Certified Trainer. She loves interacting with her clients and helping them achieve a more healthy lifestyle. Mika stays busy by keeping up with her two boys Jarrett and Jace. She is married to Marc. Marc and Mika decided to make a lifestyle change for their family 6 years ago and haven't looked back since. They enjoy working out together and watching the boys play baseball. Mika is a USAT national qualifier for 2015. In her spare time, she enjoys spending time with family and is very active in her church. 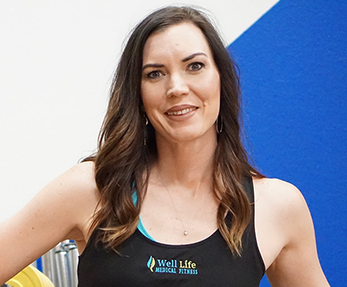 She is excited to have the opportunity to begin working with men and women of all ages and to be a part of the Well Life Medical Fitness team. I love love love working with Mika!! She makes every workout fun and enjoyable. She has challenged me to do things I never thought I could do. And the best part is that she doesn’t get mad at me for getting off of my fitness track. She just encourages me to keep at it and gives me new ideas to try. 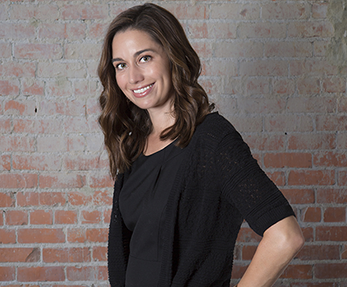 Emily Burger is an Integrative Nutritionist. She has always been interested in food, but her passion for nutrition began with her own health struggles, which she chose to treat with nutritional rather than pharmaceutical options. She spent a decade researching all the latest food and health connections before pursuing her certification in Integrative Nutrition. She is committed to helping others reclaim their health through dietary modification and realizes that each person comes to health coaching appointments with their own background, challenges, viewpoints, and needs. Emily is also the mother of four children with varying food sensitivities, so she is well-versed in modifying recipes and finding substitutions for commonly allergenic ingredients. Over the course of her education, she converted her family from mac and cheese fiends to liverwurst and veggie eating machines. In her spare time, Emily enjoys photography, reading, hiking the canyons around her ranch home, and spending time with her family, which includes a menagerie of pets. "We have had the pleasure of working with Brady as a physical trainer for the past 2 months. My son, 15 years old, was addicted to gaming and an unhealthy lifestyle. He hated working out and was hard to motivate. Then we found Well Life. Brady has been compassionate, motivating, and a great friend to my child. He has shown him how to workout even if you hate the treadmill!! He now looks forward to his workouts and is aware of how important physical activity is for a healthy lifestyle. His confidence is boosting more every day! I highly recommend Well Life Family Medicine for physical training. You won’t be disappointed!" "Thank you to the personal trainer Brady for helping me crush my fitness goals! He always pushed me to the next level all while doing it with encouragement and fist pounds! I’ve been training with him for four months and have never had the same workout twice!" "Brady has always helped me feel confident in myself, and comfortable at the gym. He helps me push my limits, but also knows when to easy up on the work out. Recently my teen age son has joined Brady and I and I love how Brady is able to give both of us individual attention, while also allowing us to encourage and improve together. I highly recommend Brady as a personal trainer to anyone." "I love love love my trainer Mika!! She makes every workout fun and enjoyable even when you’re stuck doing 50+ burpees. She has challenged me to do things I never thought I could do. And the best part is that she doesn’t get mad at me for getting off of my fitness track and end up gaining a little. She just tells me it’s okay we just need to work harder!" "I am really enjoying working out with Mika. She is knowledgeable and personable. I look forward to our workout times!" On a scale of 1-10 what would you rate your health? We can help you become a perfect 10! In our clinic fitness and nutrition serves as the base to a pyramid of health and wellness. 80% of sickness and disease can be remedied with proper nutrition and exercise. Training with our Medical Fitness team means more than bicep curls and lunges; it means progressing along the health continuum from sickness to wellness to fitness. True health doesn’t end or begin in the gym. It takes up to 6 months to learn new habits, another 6 months to transition into these new habits, and a year to establish maintenance and avoid the yo-yo theme so often associated with weight loss programs. Ultimately it takes up to 3 years to ingrain these habits into a lifestyle of health and fitness. This is where run of the mill exercise and nutrition programs miss the boat, and where MedFit fills the gaps for clients to truly establish a healthy lifestyle. In this stage, people are on a teeter-totter, weighing the pros and cons of quitting or modifying their behavior. Although they think about the negative aspects of their bad habit and the positives associated with giving it up (or reducing), they may doubt that the long-term benefits associated with quitting will outweigh the short-term costs. They are learning new exercises and lifestyle behavior patterns, new facts about nutrition, and are being asked to make systemic changes for a long term positive result. At this stage, people need a knowledgeable accountability coach or they will drop off before ever seeing a positive change. In this stage, people have made a commitment to make a change. And their dedicated behavior validates their commitment. They are seeing some positive changes in their health, energy, and weight, but old habits sneak up and are still difficult to avoid or refuse. This is a trial and error stage, people are willing to make bolder steps toward progress, but too many errors and they will relapse straight back into their old lifestyle and habits. At this stage, people need motivation to continue, and an expert to make course corrections to prevent injuries or plateaus. This stage involves being able to successfully avoid any temptations to return to the previous bad habits. The goal of the maintenance stage is to maintain the new status quo. People in maintenance constantly reformulate the rules of their lives and are acquiring new skills to deal with life and avoid relapse. They are able to anticipate the situations in which a relapse could occur and prepare coping strategies in advance. At this stage, people need a fitness specialist to keep their bodies changing, to troubleshoot emotional life changes which can cause relapses, and to open their eyes to their new potential to keep progressing forward, instead of just being satisfied with how far they have come. This stage is the rest of your life! In this stage a person learns to balance work, family, exercise, treat meals, and solid nutrition. This person is well equipped to make it through holidays, life-changes, and job-changes without relapsing to previous bad behaviors. In this stage a person has found joy and satisfaction in a healthy lifestyle and no longer view healthful choices as a struggle. 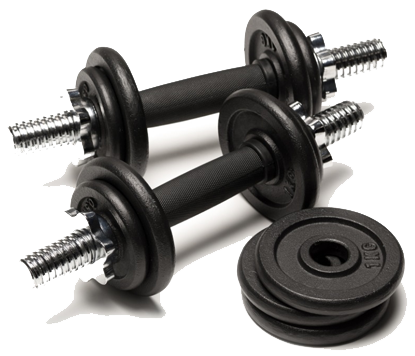 At this stage, a person may want a fitness specialist to keep things new, fresh, and exciting. They may also like learning advanced strategies like carb-cycling, or training for a triathlon or crossfit competition. We are inviting every patient that calls in the month of November to test drive a free session! How do you take advantage of this limited time offer? Sessions are scaled for any level of fitness and you can even bring a friend! As this is a medically supervised program you can even use your HSA and Medical Flex accounts to pay for the investment in your health. We will even pay for your gym membership!